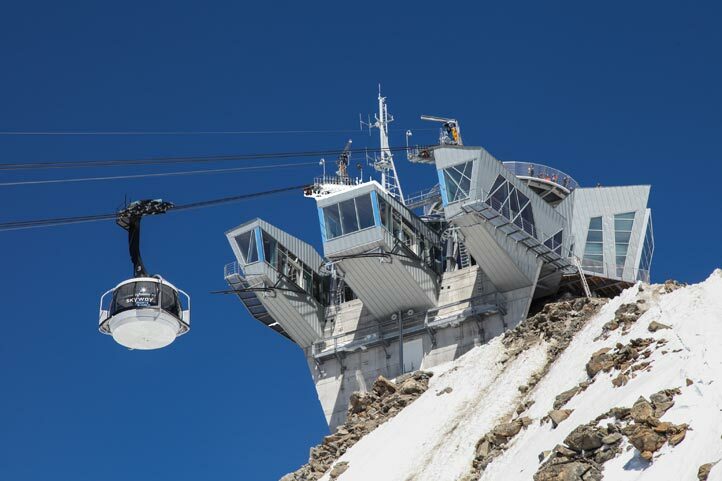 Skyway Monte Bianco : from Courmayeur (Pontal d’Entrèves 1.300 m.) to 3466 m. metres of Punta Helbronner, a fascinating 360° journey on the roof of Europe. 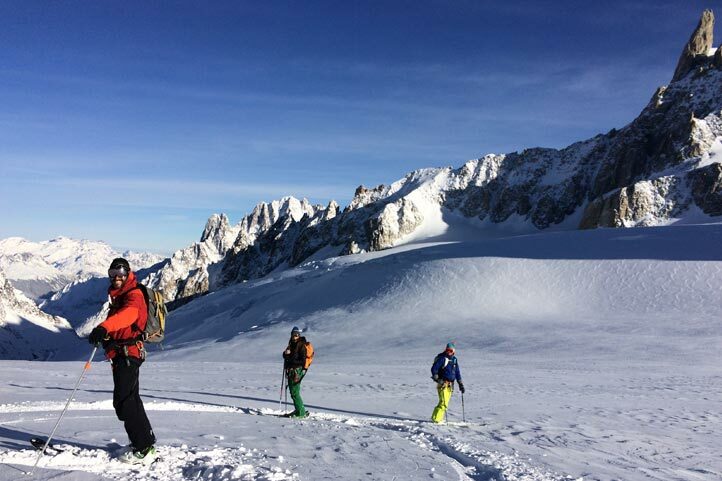 Off-piste enthusiasts can attempt thrilling descents in fresh snow down the fabulous routes to Courmayeur or Chamonix. 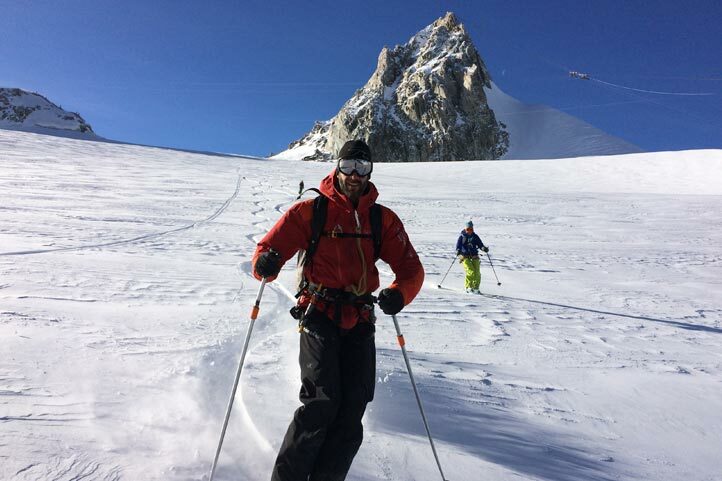 The panoramic Vallée Blanche, is a 20 Km off-piste route amid legendary peaks and famous glaciers, (to Chamonix and return by bus through the Mont Blanc Tunnel). 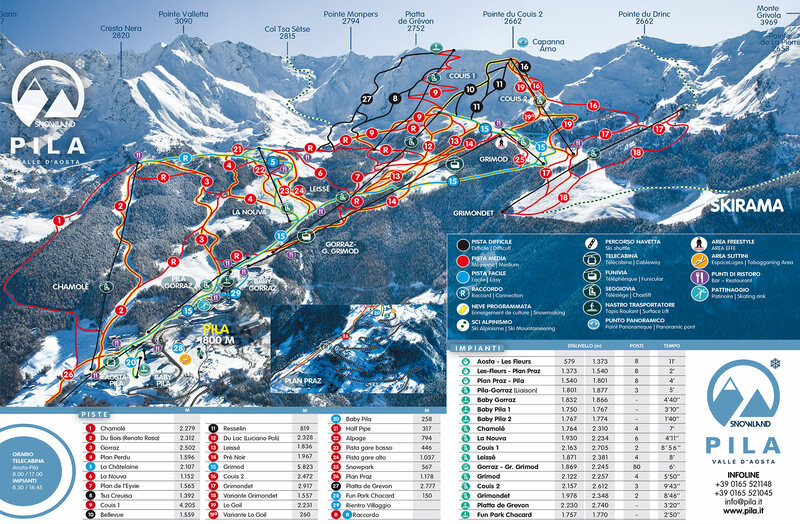 The large Toula Glacier ski area offers extraordinary routes between granite and smoky pastel seracs, (Italian side). 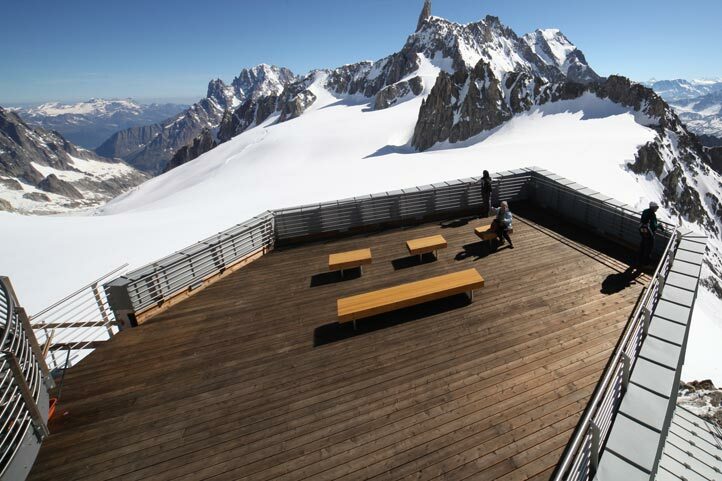 For non-skiers the panoramic terraces of Punta Helbronner among which the circular terrace offering a breathtaking view: the most spectacular in the whole of the Alps. You're eye to eye with Mont Blanc and on the horizon are the peaks of Europe over 4000 metres; The Matterhorn, Monte Rosa, and Gran Paradiso. The crystal exhibition “Hans Marguerettaz” is worth a visit to admire the jewels of our mountains. 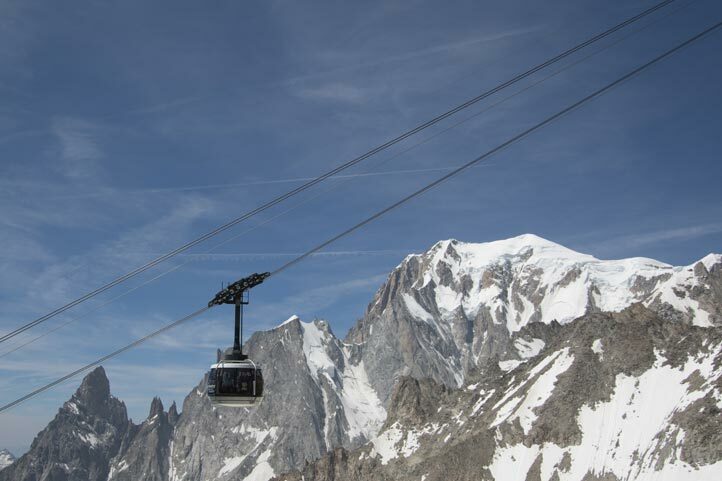 In the station of Pavillon du Mont Fréty : you find a restaurant offering typical Aosta Valley cuisine and outdoor terrace giving a wonderful view over Courmayeur and its parallel valley of Veny , and a 1,5 km ring for walks with snow rackets to enjoy nature at high altitude. From Italy: Highway Torino - Aosta - Courmayeur > exit in Courmayeur. Continue on the main road N. 26 for 3 km towards the Mont Blanc Tunnel. From France: via Chamonix through Mont Blanc tunnel. At the exit of the tunnel continue for 1 km towards Courmayeur.